God gives us all our own talents. Some people can act, some are unbelievably good with numbers and some (like us) have a way with words. 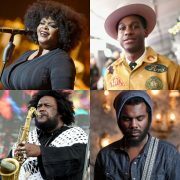 Then there are the talents that we covet, and man, oh man do we wish that we were more musically inclined. 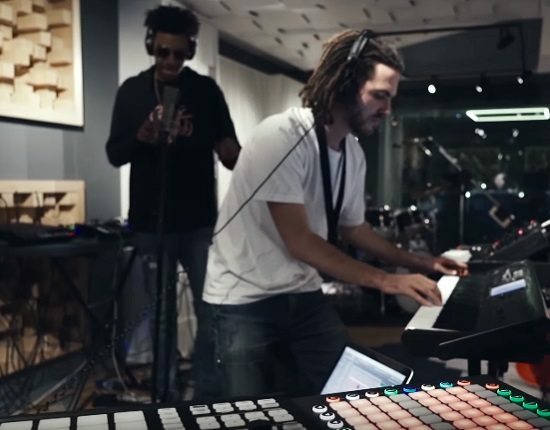 Our eyes are especially green after seeing a recent video that French artist and producer FKJ recently posted of a session between him and DMV music producer Masego that took place at Red Bull Music Studios in Paris. The twosome met up to create some musical magic resulting in a song that they're calling "Tadow." 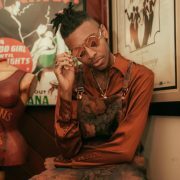 "Spent a day with the great [Masego] in Red Bull Studios Paris. 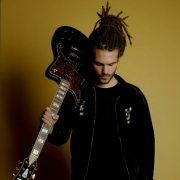 Nothing was planned and we kept improvising," FKJ wrote when he posted the video to his Facebook profile. "This is one of the jams we did that day." 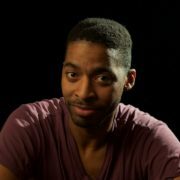 The improvisational nature of the track is felt from the moment you press play. 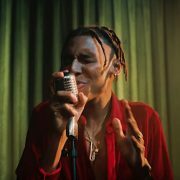 It starts with FKJ playing a sick guitar riff as Masego accompanies him with a passport (yes, he uses a passport as an instrument). 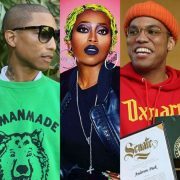 Soon, the two are layering instrument track after instrument track, adding bass, programmed drums and sax to the pot within the first two minutes of the song. The two hop back and forth from instrument to instrument before Masego eventually lays down a few ad-libs and then contributes a couple verses about a girl who took his breath away. The video is an eight-minute jam session, but trust that you'll be wanting more when the last notes fade. Our only wish is that it was available for purchase. Check out "Tadow" below.